Chapter Chasers is a book club that meets monthly. 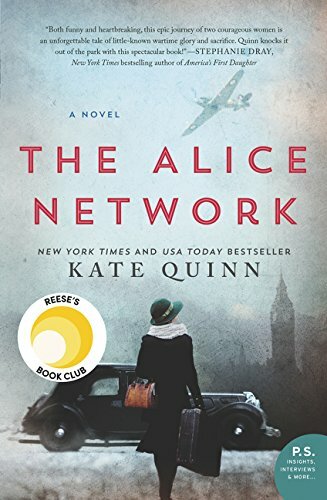 We will be reading The Alice Network by Kate Quinn. This is a historical fiction set during World War II. Becky will be hosting. We will be meeting on Friday, April 26 at 6:30 PM. Contact Sandra Ellis for more information on how to connect with this group.